The download link seems to have moved (though the condition you described still appears to be true). 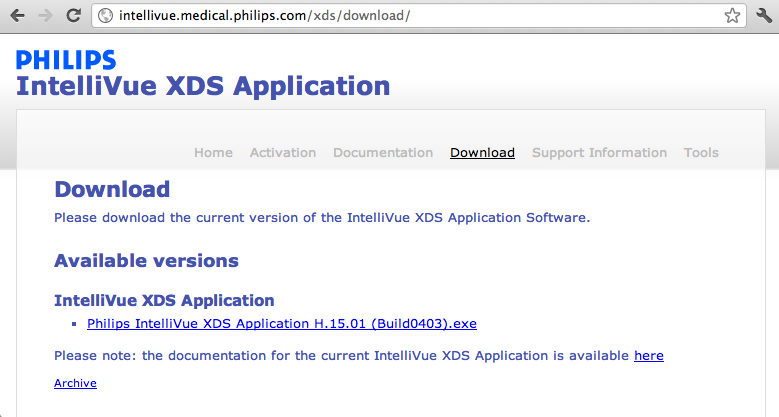 The new link is http://intellivue.medical.philips.com/xds/ (click "Download"). 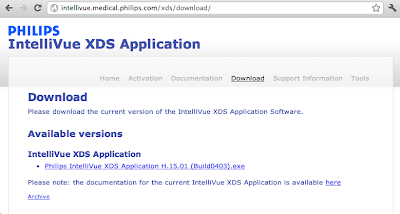 IntelliVue XDS Application is NOT used for updating patient monitor software. The IntelliVue Support Tool is. IntelliVue XDS is a set of tools for PCs to pull PDF printouts from monitors or view monitors remotely, not for software updates or maintenance.